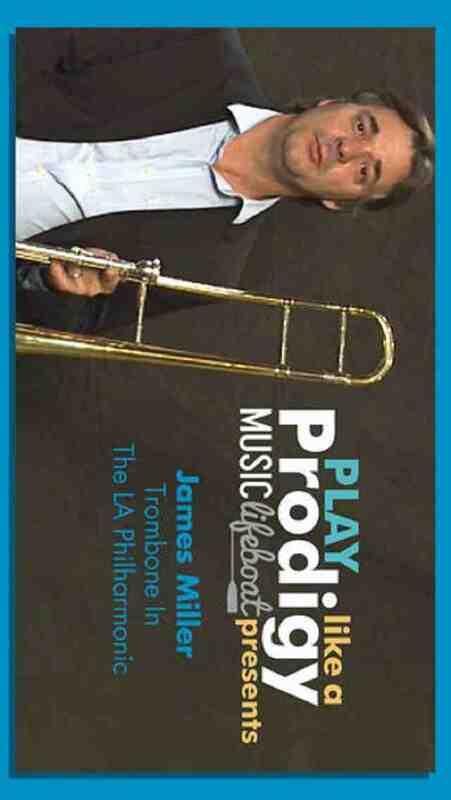 Learn Trombone Lessons with Virtuoso Musician James Miller, trombonist in The Los Angeles Philharmonic. Here are over 20 free video lessons that will teach you how to play the Trombone right away! This step-by-step method will teach you the basics as well as advanced techniques. Music Lifeboat' Play Like A Prodigy Learn to Play Trombone comes with over 20 lessons that include (Music notation is included). Meet Your Teacher: James Miller, Principal trombonist in The Los Angeles Philharmonic Orchestra. Follow above these video Trombone Lessons that will really help out to learn how to play Trombone today as a professional. •	You will get step-by-step method that will teach you the basic techniques as well as advanced techniques to learn Trombone by one of the world’s leading trombonist, James Miller, principal trombonist in The Los Angeles Philharmonic orchestra! •	Music Lifeboat’s Trombone lessons provide you world-class video instruction at a low cost to help you become an excellent trombonist and musician. •	Give a gift to underserved students - 10% of all proceeds go to the non-profit “The Harmony Project of America”, a nonprofit that brings music education and instruments to underserved students. Support us by joining on social media so we can work together to begin a movement so every child has access to excellent music education. Music Lifeboat believes every child deserves access to music education. We provide free online lessons and education resources with music software to inspire students.